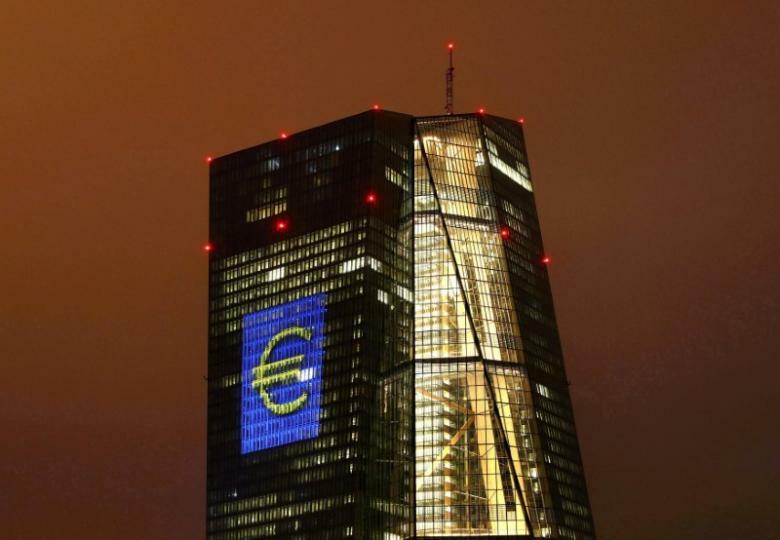 The European Central Bank is set to keep its ultra-easy policy stance firmly in place on Thursday but may acknowledge better growth prospects, setting the stage for a small signal as early as June about an eventual reduction of stimulus. ECB President Mario Draghi is likely to point to still-weak inflation, muted wage growth and an uncertain outlook to argue that easing off the accelerator now could unravel years of work that have consumed much of the ECB's firepower, a Reuters poll of analysts showed. But Draghi may acknowledge the euro zone's solid growth momentum, surging consumer and business confidence, and receding political risk after pro-euro centrist Emmanuel Macron ended the first round of France's presidential vote in pole position. "The ECB will likely acknowledge a further improvement in the balance of risks by pointing to upside risks to growth," economists at Societe Generale said. "However, no material changes to its dovish communication are likely and we only expect the medium-term risks to be described as balanced in June." The euro hovered just below six-month highs against the dollar, set in the wake of the Macron result, ahead of the ECB's rate decision at 1145 GMT followed by Draghi's news conference at 1230 GMT. The mild optimism would follow years of extraordinary stimulus measures whose long-term consequences remain untested. Having missed its 2 percent inflation target for four consecutive years, the ECB is buying 60 billion euros worth of bonds per month at least until the end of the year and plans to keep interest rates deep in negative territory until much later. But economic growth is on its best run since the global financial crisis, inflation is comfortably above 1 percent and the ECB's policy arsenal is nearly depleted, all fuelling calls by conservative policymakers to start mapping out the way to the exit. In a departure from the bank's long-held, more pessimistic stance, ECB board member Benoit Coeure, a key ally of Draghi, last week argued that the balance of risk for the economy is now largely balanced. Coeure's view may not signal an imminent policy shift but suggests growing confidence in the outlook and a willingness to entertain the once-taboo subject of scaling back stimulus. The next step, possibly in June, could mean dropping a bias for even more policy easing and changing the wording of Draghi's regular opening statement to reflect improved prospects for the economy. Last month, the ECB removed one phrase from the statement -- a pledge to act "using all the instruments available within its mandate" if needed, signaling a diminishing urgency for more policy action. Some or all the references to prevailing downside risks to the outlook, to the possibility of further rate cuts or to larger asset purchases may be taken out, sources with direct knowledge of the bank's deliberations have told Reuters. Policymakers are likely to remain cautious, however, particularly those from the periphery of the bloc, where unemployment is high and wages are not rising. "Before getting too enthusiastic, not all is well in the euro zone," ING economist Carsten Brzeski said. Conservative policymakers meanwhile argue that too much stimulus may already be fuelling asset price bubbles, risking financial stability and eroding bank earnings so much that the measures could actually hold back lending and thwart growth. The ECB may also need to preserve whatever firepower it still has left in case of renewed turmoil. This means Draghi may express cautious optimism on Thursday, readying for a more ambitious shift in June. "If, as it now seems very likely, the French will elect a mainstream president, on June 8 the ECB will probably scale back some of its prudence," UniCredit economist Marco Valli said.